Excellent, nice to see this well known mod in MT. Update: I've tried it in newest minetest/game - how exactly I need to use it? Trying to left/right click it with block, whatever, nothing happens - block is placed in front of drawer. Fixerol wrote: Excellent, nice to see this well known mod in MT. Are you using the latest minetest-dev? Maybe you can also help me then, the drawer visual entity doesn't spawn on MT 0.4.15-dev (so you can't click it to add/remove items), do you know if something was changed there? - I can't find anything, but it works perfectly on Minetest 0.4.15. 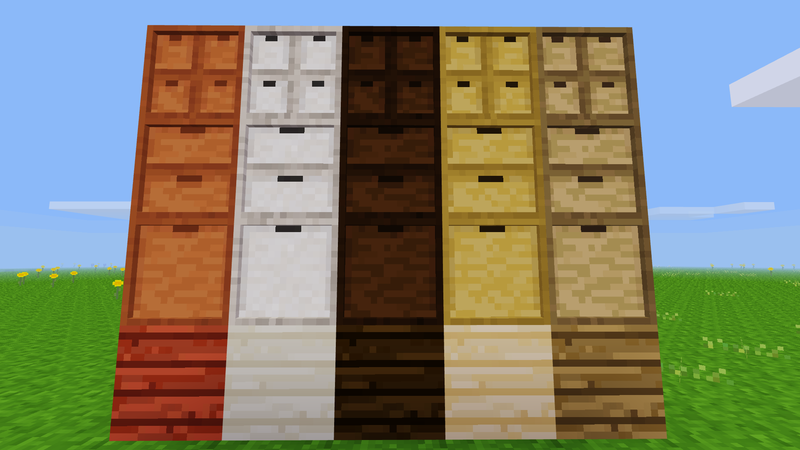 Storage Drawers - The simplest item storage method in Minetest | My Minetest Modding Tutorials (German) | #ComeToTheDuckSide - we have privacy! | diaspora* - The free and decentralized alternative to facebook and twitter! My only suggestion for improvement is to make the item label smaller. I think it is quite large and subtracts from the really nice look that the drawer has. Maybe it would look better if smaller and enclosed in some kind of rectangle label. Nevertheless, it is very cool! zorman2000 wrote: This is awesome! Do you mean the visual (inventory image) or the label ("30 Cobbelstone (3% full)")? I could make the visual a bit smaller (but not the label). LNJ wrote: Do you mean the visual (inventory image) or the label ("30 Cobbelstone (3% full)")? I meant the visual inventory image. 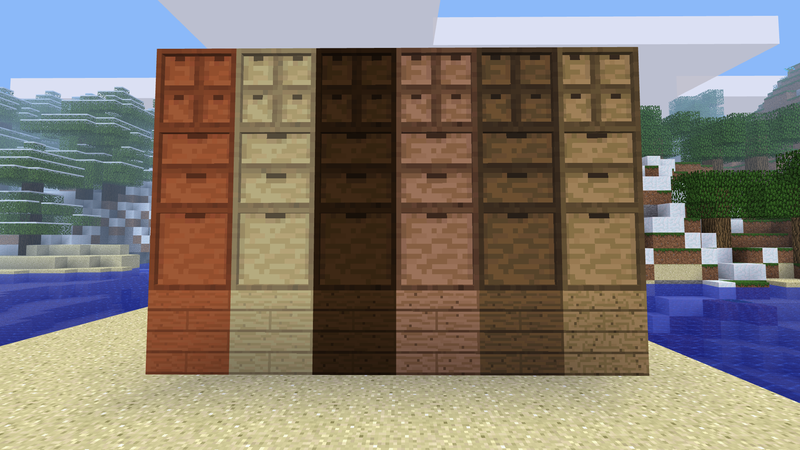 The drawer texture looks really cool and it is a little bit sad that it gets hidden. The mod is awesome anyways! I've tried it out with lower sizes, but it doesn't look better to me. Then the icons are too small. A bit double negating though? with defaults to true would simplify. Almost a non-issue though ofc. texmex wrote: A bit double negating though? Yes, your way would be better :) .. but I don't think I should directly change this again. Can confirm it is now working in newest dev. Fixerol wrote: Can confirm it is now working in newest dev. If you want to translate this mod into your language, please contact me (or if you know how to do it, open a pull request on GitHub). I've noticed that the preview image on the drawer doesn't work for certain items, such as stairs and walls. texmex wrote: I've noticed that the preview image on the drawer doesn't work for certain items, such as stairs and walls. Currently the only way would be to generate a real 2D inventory image somehow for these nodes (all nodes that are using custom models as nodeboxes and b3d-files). Okay, I suspected that. It's still very usable however! Hi again! You should disable the stashing of unique items such as minetest_game keys. I suspect they're stripped of their uniqueness once placed in a drawer, then crashes the game when being used. I had a somewhat odd idea for a drawer. What if there was a special kind of multi-item drawer that stashed your whole inventory's content for you in one click? It would work like the bones node but for both stashing and retrieving. It could show small samples of the containing items on the side and/or the name of the player to which it belongs (while also allowing players to switch inventories between them). I realize it sounds a lot like a chest now, but I also associate this desired "load-out" behavior with your mod. I imagine players could have multiple load-outs depending on whether they are minig, building or fighting, for example. texmex wrote: I had a somewhat odd idea for a drawer. What if there was a special kind of multi-item drawer that stashed your whole inventory's content for you in one click? My chesttools mod contains a chest that has buttons for one-click drop and take of your entire inventory to/from the chest. It also covers the content of bags. The "filter"-button dropps only those items from your inventory into the chest of which there's already at least one sample inside the chest. @texmex, better use the mod by Sokomine. I personally don't think this really fits into this mod.